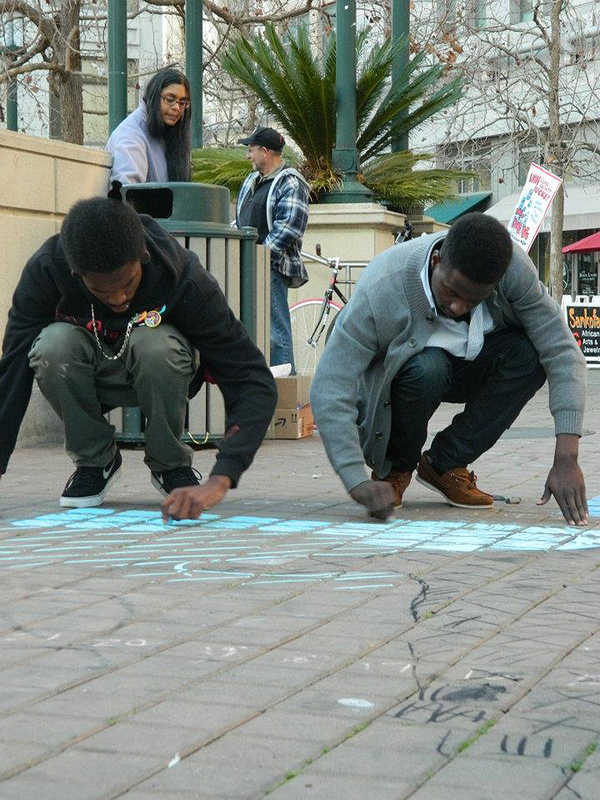 This chalk was for “Move In Day,” the day Occupy Oakland tried to take the Henry Kaiser Convention Center for its own. It was a bold move that did not succeed but the march was very eventful; with teargas and over 400 people arrested as they ran through the YMCA. The police accused them of breaking into the Y but that was later proved untrue in court. Those arrested there were awarded a large settlement. 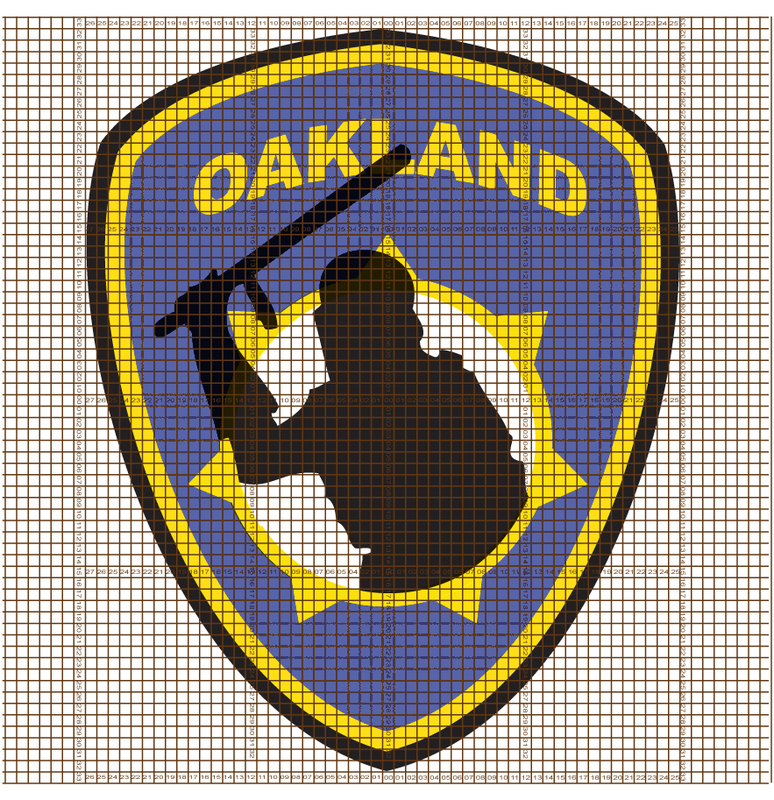 The badge was in response to several incidents of police violence in Oakland, including the shooting of veteran, Scott Olsen. It might be redundant to say that this was a direct, in your face message to OPD. The thing I remember from the speeches that day was a man, I don’t know who he was abut he said “Do your best.” That day the police helicopter was right above it, hovering and shining its spotlights down on our badge. When there were no retaliations we figured we were getting away with it. We didn’t have the right blue. 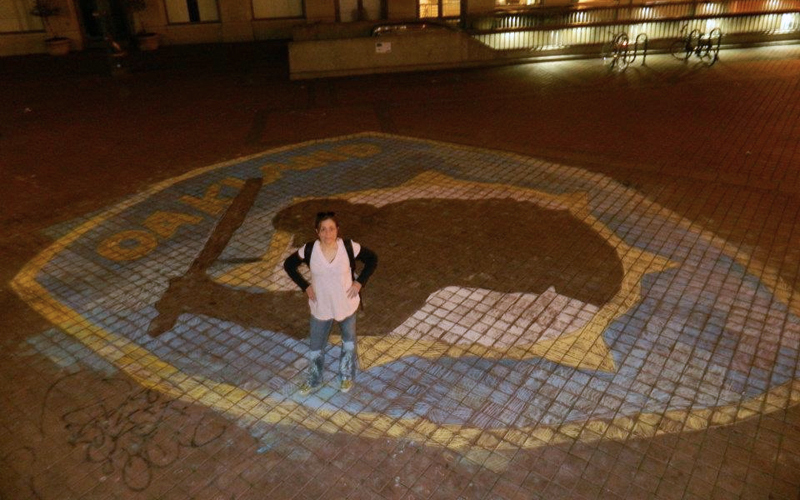 Having yet to discover the superior brands, our colors were very “chalky.” We didn’t finish until after dark.